Cinkciarz.pl Sp. z o.o., a company within Conotoxia Holding Group, is in the process of suing SGB-Bank S.A., demanding a formal apology and compensation. The case concerns a letter sent in 2015 by the bank’s Management Board to over 200 cooperative banks. The letter sent by the Management Board of SGB-Bank S.A. to cooperative banks was a call for the termination of collaboration with Cinkciarz.pl. In 2014, Cinkciarz.pl started collaborating with cooperative banks in the field of currency exchange. The banks benefited from a very attractive price. The transaction model offered by the company was extremely favourable for them. Cinkciarz.pl was a transparent and credible counterparty for conducting non-cash trading for the bank. There was no risk of a lack of settlement and delivery, as the currency exchange service, when executing transactions, first transferred funds to its account kept in the given cooperative bank. Afterwards, the bank, under appropriate authorisations, booked, collected funds and credited foreign currency accounts. As a result of these key advantages, cooperative banks from all over Poland started to use the services offered by Cinkciarz.pl. The company came into possession of an official letter sent by the Management Board of SGB-Bank S.A. to the associated cooperative banks, in which they are warned about unjustified threats posed by the currency exchange service and are recommended to eliminate this risk. As a result, many banks withdrew from cooperation and Cinkciarz.pl's turnover dropped dramatically. 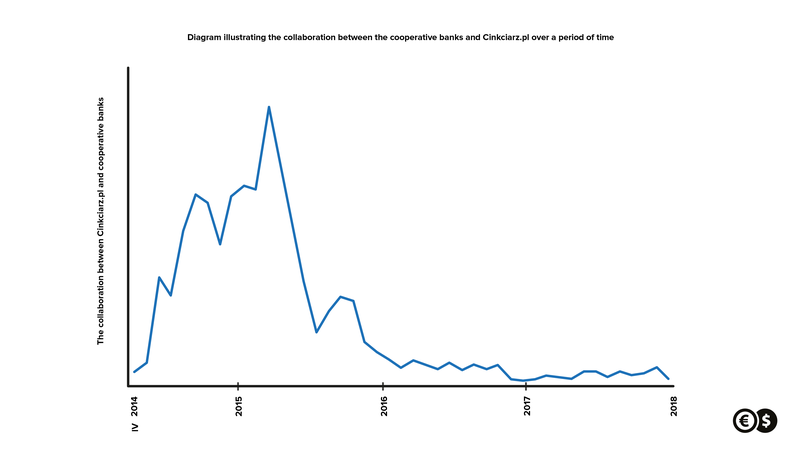 For the sake of full transparency, Cinkciarz.pl discloses the letter and a graph illustrating the collaboration between the cooperative banks and Cinkciarz.pl over a period of time. During the court process, all current and former presidents of the cooperative banks associated with SGB will be interviewed. In the lawsuit, the company demands retribution, compensation and a formal apology. Copy of the letter from the Management Board of SGB-Bank S.A. to the associated cooperative banks. Graph presenting the collaboration between the cooperative banks and Cinkciarz.pl over a period of time.